BSNL's Rs 429 plan targets Reliance Jio's Rs 399 recharge plan, which offers unlimited free voice calls (local plus STD) to any network in India and 1 GB data at 4G speed per day for 84 days, say industry experts. 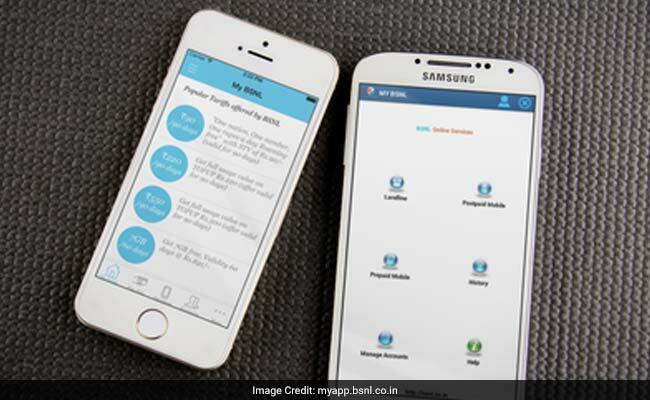 BSNL Rs 429 plan offers 1 GB data per day for 90 days. Reliance Jio's entry in to the Indian telecom industry has triggered a pricing war among operators. Incumbent telecom players are launching new plans every other day to protect their existing clients from switching to Reliance Jio. Even state-owned telecom players are not keeping themselves away from this competition. In its latest bid to match up with Reliance Jio's offering, state-owned telecom giant Bharat Sanchar Nigam Limited (BSNL) has launched a voice and data centric plan for Rs 429, which will provide unlimited voice and 1 GB data per day for 90 days for prepaid mobile customers. BSNL's Rs 429 plan gives free voice (local and STD) on any network and 90 GB data (1 GB per day) for 90 days on pan-India basis (except Kerala Circle), a company statement said. BSNL's Rs 429 plan targets Jio's Rs 399 recharge plan, which offers unlimited free voice calls (local plus STD) to any network in India and 1 GB data at 4G speed per day for 84 days, say industry experts. Launched in July, Jio's Rs 399 plan is one of the most popular recharge plans of the company. Other telecom players including country's biggest telecom operator Airtel has also launched prepaid plans targeting the Rs 399 plan of Jio. Meanwhile, BSNL has also launched some special vouchers which allow its users to lower call rates to 15 paise per minute. BSNL said its STV (Special Tariff Voucher) of Rs. 8 will lower the BSNL-to-BSNL call rate to 15 paise per minute for 30 days from the date of recharge. BSNL's latest STVs also offer lower rates for off-net calls - calls made from BSNL to other networks. The STV priced at Rs. 8 will reduce off-net call costs to 35 paise per minute. BSNL's "rate cut" special tariff vouchers can also be subscribed for a validity of 90 days. At Rs. 19, the same rates - 15 paise per minute for calls on BSNL network and 35 paise for other networks - can be enjoyed for a validity of 90 days, BSNL added.